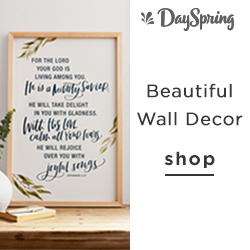 This is my list of absolute favorite, must-have, great for gifting theological books and music for young kids to share with you! After I created the page for the Children's Catechism Resources, I got a request to do something similar for the Westminster Shorter Catechism, so here it is! It's almost Halloween! Our kids have always worn costumes but we don't have decorations up at my house, we only what my daughter refers to as "boring fall stuff". She has often told me that when she is a "grown-up" she's going to have lots of Halloween decorations in her house. Whether you let your kids dress up and go trick-or-treating or not, it's a unique time we have to talk to our kids about death and scary things in age appropriate ways. Today, we're looking at another collection of songs with the Children's Catechism questions and answers. 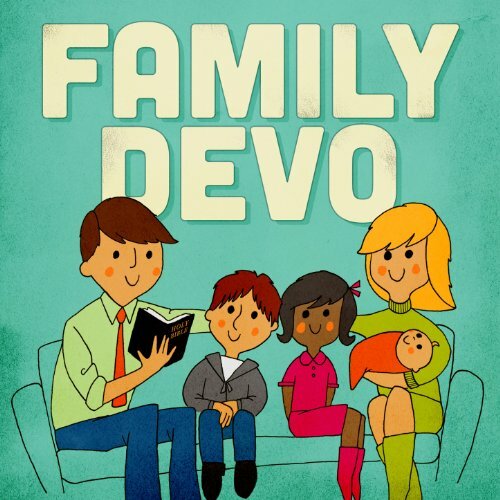 The album is called “First Bible Truths” by Family Devo. My kids love these songs! I will admit they qualify as stop-and-have-a-dance-party type songs. They advertise them as "not your normal cheesy, kids Christian music..." and I think they really deliver on that promise. In addition, there is also quite a variety (listen long enough and you'll even hear some rap!). 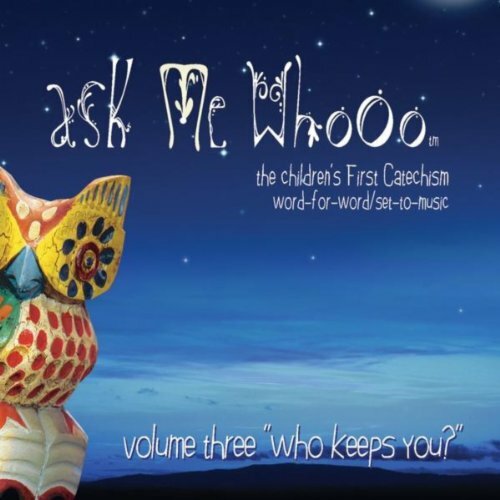 Where the Ask Me Whooo series of songs are just the catechism questions with answers and proof texts from Scripture, First Bible Truths are more individual songs. So they add some additional wording to fill out the songs more than purely being a memory tool. 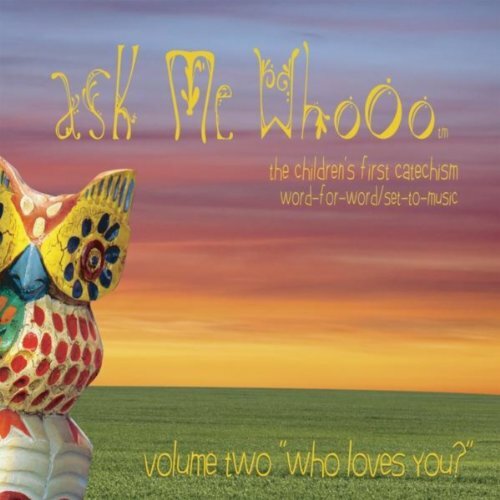 The album contains 9 songs covering the first 21 questions of the First Catechism. If you're goal is to get the first few questions down or you want to review them, this is a great resource. These are only available as digital downloads. You can purchase it from either Amazon or Apple (and you should be able to listen to a sample of each song in this post as well from Apple Music). If you missed yesterday's post where I wrote about the general benefits of using music to learn the catechism, make sure you check it out as it applies to this album too! Thanks for being an early reader of the blog! I plan to have a Resources tab up soon where I'll link all the best resources on one easy-to-find page. Disclaimer: We do not recommend letting babies listen to music with noise cancelling headphones, but it sure is cute! I'm so excited that I get to start sharing about songs and books to help teach the Children's Catechism! If you haven't read the earlier posts about why teaching the catechism is a good idea, I hope you can take a little time to scroll through the blog. I knew the very first post had to be for our favorite resource for the Children’s Catechism! 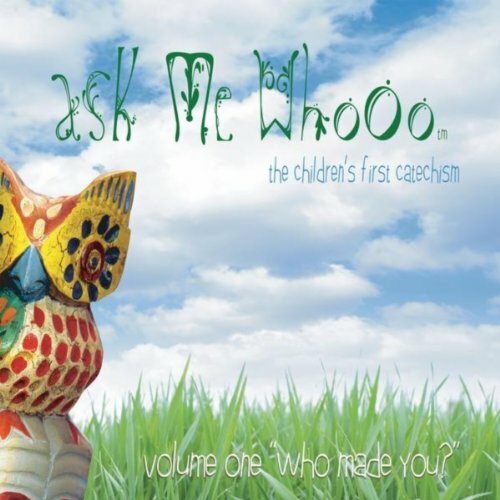 It is the Ask me Whooo collection of three albums (available on both CD and audio downloads). If you want to get the catechism into your home (or car or wherever), this is the first and must have. It is the most comprehensive and matches the wording and order of questions exactly as in the versions I've been linking most often on this site. When people tell me that they don't know about these songs but taught the catechism or are trying to, I'm always shocked! This is a great place to start and then to go back to for those times when you get "stuck". I know other people love these too because after I launched the blog last week I got two text messages asking if I knew about these songs! Diana Beach Batarseh has put all of the children's catechism questions into song form. Each track has one to three questions, so that they can be repeated, especially some of the shorter answers. Then at the end some of the proof texts are read by children. It is an extremely easy thing to just put on and listen to (and by that I mean, it isn’t as annoying as some of the songs my kids like but to be fair, it does qualify as "kids music" in my book) in the car, while doing chores, while coloring, whenever you feel like you could sneak it in! Click on one of the album images to listen to a sample of the songs on Amazon (on a tablet or computer, they should display on the right and on a mobile device, just keep scrolling below the post content). Or there is a link to listen on Apple music too. It’s always surprising how much kids learn just from listening. When my daughter was 3, she would walk around belting lyrics from Disney's Frozen, “my soul is spiraling in frozen fractals all around…” It's obviously nice to mix it up with some of these songs that serve to teach a bit more truth about our souls (instead of Elsa's). It is hard work parenting little kids. But it's good work! Having resources like this that you can listen to after a hard day at work or after a long night where the baby was up nursing every two hours can help re-orient everyone back to life-giving truths regardless of how tired and frustrated we may be. If you have Amazon Prime, you can listen to all of Volume 1 (which is questions 1-52) for free as part of Amazon Prime Music. If you don't have Prime, you can try it free for 30 days by clicking the ad below. Ask Me WhoOo, Vol. 2 "Who loves you?" Tomorrow's post will be on another album based on the First Catechism!